Salaam Mommies! March holiday is drawing near! If you're looking for something beneficial activity for your kids, we've got a special workshop for your little ones! 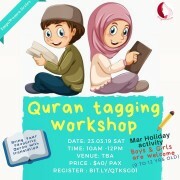 Quran Tagging Workshop for kids aged 9-12, includes fun activities and introducing the kids to quran tagging. 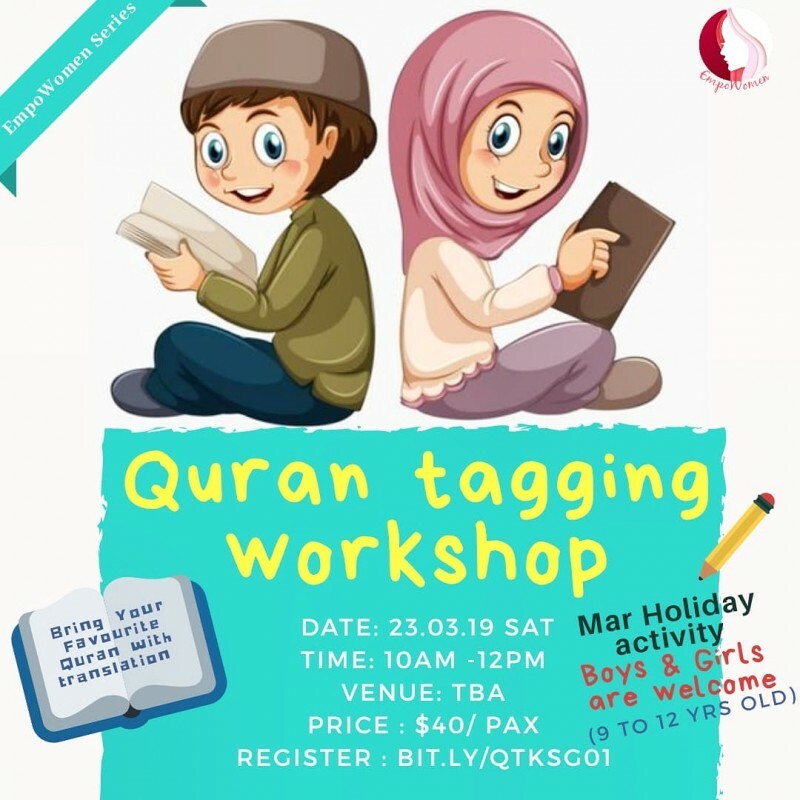 Let's encourage our children to reconnect with the Quran while having fun! If you're interested, simply register at bit.ly/QTKSG01. For any enquiries, feel free to leave a comment or drop us a dm!